TV industry is asking: Can Brian Williams survive this? An investigation was underway at NBC News on Friday as TV news insiders are transfixed by a single question: Is Brian Williams going to be suspended -- or worse? In a memo to staff, NBC News president Deborah Turness addressed the scandal directly. "This has been a difficult few days for all of us at NBC News," she wrote. She said "we have a team dedicated to gathering the facts to help us make sense of all that has transpired. We're working on what the best next steps are -- and when we have something to communicate we will of course share it with you." The memo by Turness was one product of a nearly day-long meeting of top NBC News executives. In the wake of the embarrassing revelations, journalists have started to raise questions about Williams' reporting about Hurricane Katrina as well. Williams has said nothing publicly about the controversy since Wednesday night. But he profusely apologized to his colleagues at a Friday morning editorial meeting and said he took "full responsibility" for his mistakes involving the Iraq story. 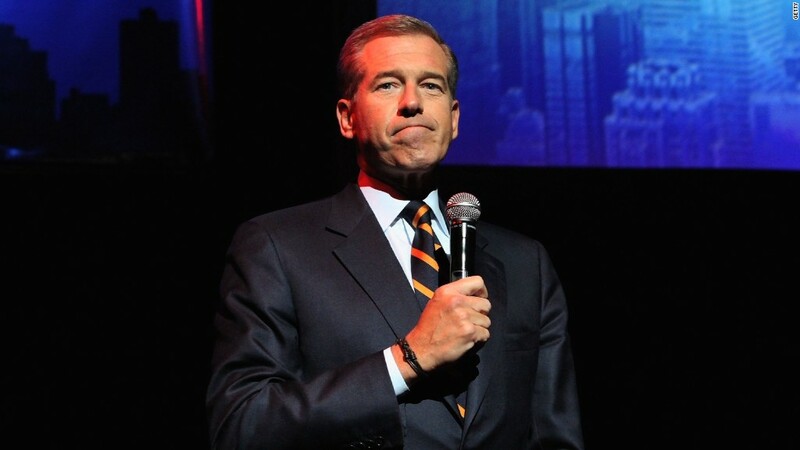 An NBC source said Williams will anchor his "NBC Nightly News" on Friday night. Meanwhile, inside the halls of NBC, and certainly within the halls of its rivals, executives and employees are asking if Williams "can survive this." "NBC News is dawdling. They need to suspend Brian Williams and announce a process that includes press access and an internal investigation," former MSNBC.com editor in chief Merrill Brown wrote on Twitter on Friday. Now the investigation is taking place, though it is reportedly being led by one of the network's own producers, not an outside examiner. The situation is a serious crisis for NBC. Williams is the face of NBC News, and he just renewed his contract last December. He has established his credibility over the course of decades, and he is beloved by many of the 10 million people who tune in for his nightly newscasts. But that credibility has been seriously challenged by the Iraq controversy. "It's hard to see how Williams gets past this, and how he survives as the face of NBC News," USA Today media columnist Rem Rieder wrote on Thursday. Questions about the anchor's future intensified Friday morning after the New York Post reported that Tom Brokaw, Williams' venerable predecessor on "NBC Nightly News," wanted the anchor fired. Brokaw refuted that report in a statement to the Huffington Post, saying he has "neither demanded nor suggested Brian be fired." But Brokaw, whose reverence for military matters is apparent in his books and documentaries, notably did not defend Williams. "His future is up to Brian and NBC News executives," Brokaw said. Some other television luminaries have made stronger statements of support. Former CBS News anchor Dan Rather said he doesn't "know the particulars" of what happened, but he vouched for Williams' character. "I do know Brian," Rather told Politico. "Brian is an honest, decent man, an excellent reporter and anchor -- and a brave one. I can attest that -- like his predecessor Tom Brokaw -- he is a superb pro, and a gutsy one." Williams has even drawn support from certain personalities at Fox News, a frequent critic of both NBC News and the liberal-leaning MSNBC. "It seems like he made an honest mistake, as his accurate reporting of it back in 2003 would suggest," Fox News host Megyn Kelly said Wednesday. Brit Hume, a senior political analyst at Fox News, said on Twitter that while he couldn't "account for what Brian Williams did," he's pulling for the embattled anchor. "I hope he overcomes this," Hume said. "A good guy." And Jon Stewart arguably gave Williams a pass by not mentioning him on Thursday's edition of "The Daily Show." Williams and Stewart are close: Williams has appeared as a guest 16 times. But some longtime war reporters have been extremely critical of Williams. "Anyone who has been in a vehicle hit by an IED has that moment forever burned deep into their soul, into the fiber of their being," said Michael Ware, the former CNN foreign correspondent who dealt with PTSD from his time spent reporting in Iraq. "I can only imagine being in a chopper hit by ground fire, fearing it will plummet to earth, is far, far worse -- unmistakable to remember and beyond impossible to conflate. Surely?" "It would be hard not to step down, in good conscience, after such a painful misstep," Ware added. Carlotta Gall, the North Africa correspondent for the New York Times, told CNNMoney that print journalists are "probably the greatest sticklers" when it comes to the Williams scandal. "This is the problem of TV anchor stardom," Gall said. "That's what warps journalism, really, and takes it into show biz. That's when the mistakes and the embroidery come. Any trained journalist knows we're not the story."